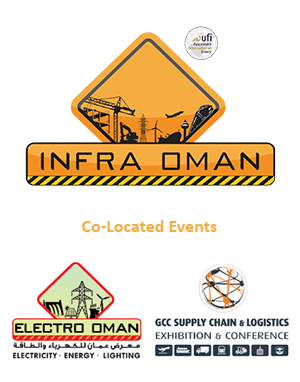 Infra Oman 2019 will be co-located with Electro Oman – Electricity, Energy & Lighting exhibition which is dedicated solely to energy and clearly partitioned to cover all aspects of the sector, including electricity, water, lighting and HVAC, with a special emphasis on sustainable solutions and renewable energies. Also, co-located with Infra Oman 2019 will be the GCC Supply Chain Logistics & Conference showcasing logistics services, shipping, maritime services and investment opportunities. Participate in Infra Oman and showcase the difference that your company can make to the Sultanate’s highly impressive infrastructure development plan. Book your stand today! 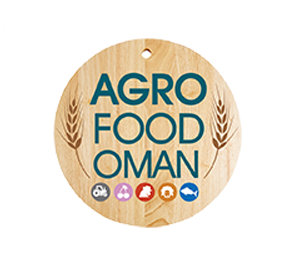 The 3rd Agro-Food Oman along with Halal Oman will be organized by Al Nimr Expo under the patronage of the Ministry of Agriculture & Fisheries Wealth. It will be held from 22-24 April 2019 at the Oman Convention & Exhibition Centre. The expo aims to link the sector as well as the related government organizations with industry experts and suppliers by sharing innovative ideas and solutions to transform the sector, showing the potential involved toward its contribution to the Sultanates growing economy. Oman’s rapid progress in the construction and the real estate sector, has witnessed the launch of numerous commercial, residential & tourism projects, thus creating a demand for interior & outdoor design, décor & furnishings. 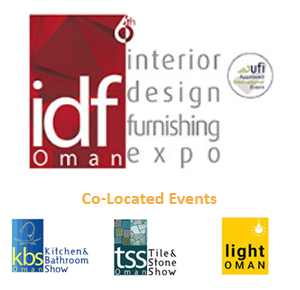 The key objective of the exhibition is to display the latest in technology, usage of materials and innovative approaches to interior design, décor & furniture. IDF has helped meet the growing demand, by bringing together all the leading companies in the industry under one roof, thus making it as an ‘exclusive emporium’. The exhibition is growing steadily by 15% – 20% every year. At the visitors perspective the IDF Oman 2018 was successful in drawing more than 8,300 professionals and end-users from Oman, GCC, Middle East and Other countries. Professionals from the private and public sectors, government officials, VIP’s, interior designers, architects & key decisionmakers were all available to network, learn about new products, and conduct business deals . locally, regionally and globally "